“¡Obama escucha, seguimos en la lucha!” This shouting was heard from downtown on 14th street as Sandra, Mariela, and I made posters to join thousands of people at the immigration rally held in front of the Capitol on Wednesday, April 10th. 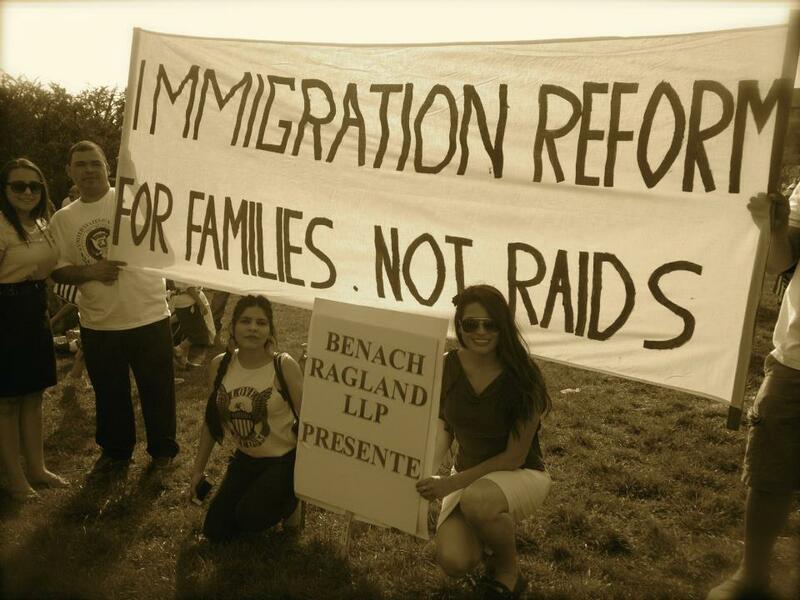 Since my arrival to the United States in 1999, I have attended every immigration rally in Washington, D.C. I find every experience of a rally to be very rewarding including being able to shout nonstop on the streets of DC without getting arrested. I am inspired and ignited by the hard working people who are forced to live in the shadows of society, who cannot drive or work, pay in-state tuition where their parents have lived and paid taxes for years, who did not have the chance to say goodbye to a family member who died in their country of origin, and who-above all-never lose faith in justice. Last Wednesday, thousands of undocumented brothers and sisters ventured out of the shadows of their homes, work, and communities, taking public transportation or carpooling, walking unafraid in Washington DC, to wave their colorful flags and say “presente.” I saw people of all ages and colors lifting the American flag, being proud of being in this nation and wanting to desperately have an opportunity to achieve the American dream. On last Wednesday, I saw the human face of the immigration issue. I hope and believe our President and our legislators saw it too. Wow. I’m inspired too! Feeling very proud!